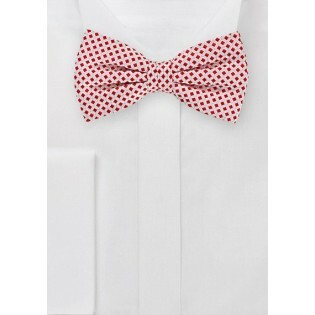 Look unbelievably fashionable this Winter Season in this designer pre-tied bow tie in polished shades of vibrant reds and whites. The artisan square pattern is handsomely woven into the textile using premium Arte Seta silks. This classic color combination of red and whites looks divine teamed up with a single breasted medium gray wool suit. 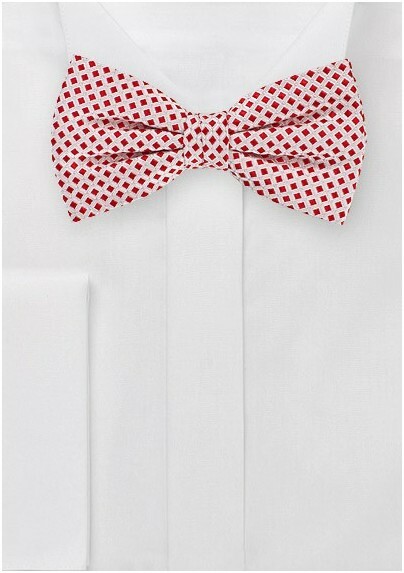 This luxe bow tie is a trademark piece from Cantucci.